Tamanna only has two years left to be a child because, in just two years, Tamanna will turn 13 and join the 14 million other girls under the age of 18 who are married as child brides every year. Tamanna Yesmin lives in Char Borobila, a poor community in the area of Mymensingh, Bangladesh. Most homes don’t even have indoor plumbing and families lack knowledge of basic health and hygiene practices. Since Tamanna’s parents did not have access to education when they were growing up, they never personally experienced the benefits of education. So they keep their kids at home instead of sending them to school. Their only “retirement plan” is to raise sons who will take care of them when they grow old. Investing in daughters has no financial return since daughters simply get married as teenagers and move into other families. Fortunately for Tamanna, her mother joined a Savings and Loans group called Nari Jagoron - “women empowerment,” and Tamanna became a sponsored child in the Food for the Hungry (FH) Bangladesh program. Through Nari Jagoron, Tamanna’s mother took adult literacy classes, learned about health and nutrition, discovered the detriments of child marriage, and was educated in her legal rights as a woman in Bangladesh. 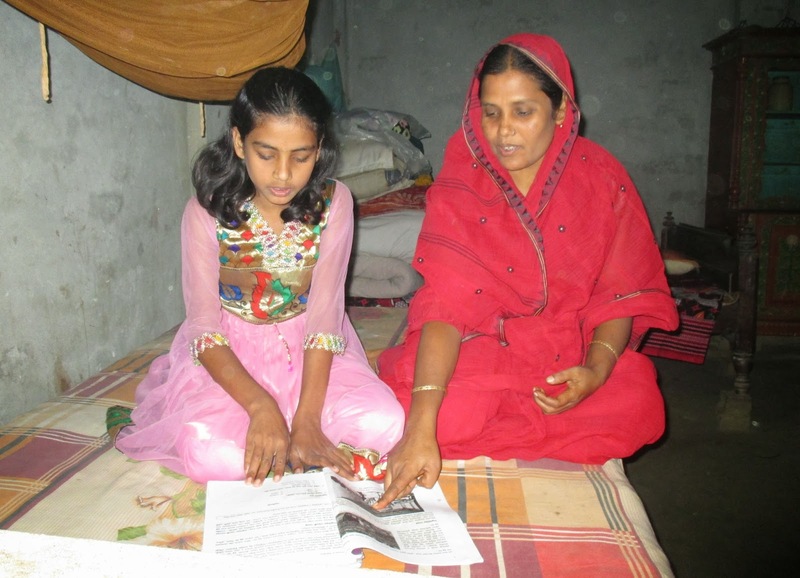 As she began reading and writing and taking a higher degree of control over her life, Tamanna’s mother decided she wanted all of her children - including the girls! - to get an education. Tamanna is in grade six, now, enjoying studying and participating in afterschool kids clubs. Thanks to her mom, instead of being at home labouring to take care of a family, Tamanna gets to enter art competitions and play sports - she gets to be a child. Support Savings and Loans groups so that more mothers can get the tools they need to protect their daughters.